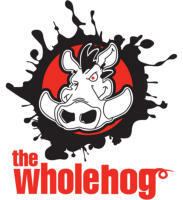 We offer more ride maps for the Ozarks of Missouri and Arkansas than any other online source. This is a ride that is often overlooked, but is one of the best in Missouri, and on a clear day you can see the Boston Mountains in Arkansas. This 24 mile ride is one of Arkansas premier rides and USA Today list this ride as the #2 best rides in America according to their Readers Choice best motorcycle roads in America. Motorcycle riders have called attention to the Pig Trail as a fitting excursion for those who want to combine the picturesque and the sublime. 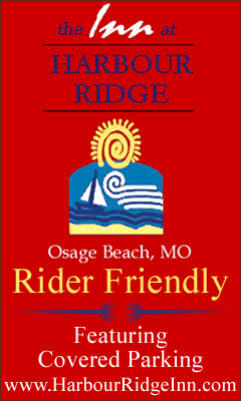 This 53 mile ride takes in the beautiful Hwy 125, and there is probably no better ride in southern Missouri. The Peels Ferry runs all year and is free. If you’re looking for an out of the ordinary ride, you might try the Missouri Mills Run. The state of Missouri is home to many wonderful mills from the late 1800’s and early 1900’s, and back then going to the mill was much like going to a county fair is today. In pioneer Missouri, villages and towns were often built around a gristmill, where grains were ground into flour and meal, and a sawmill, where timber could be worked into usable lumber. These water-driven mills were plentiful in Missouri, especially in the southern regions where spring-fed streams provided an almost inexhaustible supply of water power. Because of high demand, the mills often ran 24 hours (except on Sundays), operating on a first-come first-served basis, whether the farmer brought a wagon full of grain or one two-bushel sack. When a man arrived with raw grist, the miller marked his load by a stamp placed on his sacks or wagon, thus designating the man’s place in line. It was not uncommon for a man to wait several days for his grist to be processed. This time was spent fishing, trading or bartering for goods and livestock, discussing the news of the day, pitching horseshoes, playing sports and cards, and hashing over religious and political opinions. Here’s a ride to consider when you have a limited time in the Ozarks, but want to take in a “real feel” of the beauty that the area offers. We recommend you take two days to do this ride and enjoy the majestic scenery that Arkansas has to offer. 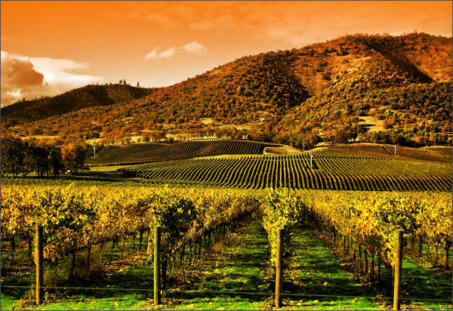 Arkansas's wine country offers riders spectacular views, charming small towns, celebrated cafés, and, of course, many of the finest and most beautiful wineries in the country. Two European families settled in the Arkansas River Valley, attracted by its fertile sandy soil and moderate climate. These pioneers of the American wine industry were Jacob Post, who came to America in 1872, and Johann Wiederkehr, who immigrated to Altus from Switzerland in 1880. Area conditions reminded them so much of the fine wine making regions of Germany and Switzerland that they each established vineyards, the beginning of viticulture in Arkansas. This helpful guide includes all you need for a wine country visit that's refreshing for both body and soul. 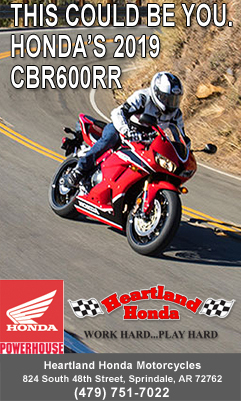 Welcome to Ozark Rides When it comes to great motorcycle touring destinations, few can rival the beautiful scenery and endless amount of twisty roads than the Ozark Mountains of Arkansas & Missouri. The Ozarks has some of America’s best motorcycle roads. 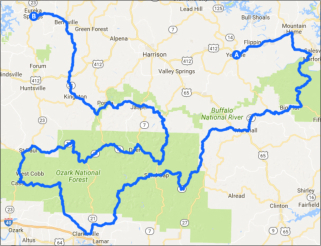 Ozark Rides is your online authority for Arkansas motorcycle road maps including the motorcycle destinations of Mountain View, The Pig Trail, The Buffalo National River and Eureka Springs Arkansas as well as the Missouri Ozarks to include Branson and Lake of the Ozarks motorcycle rides. Riders will also find plenty to do when its time to pull the bike over and take a break: great camping/hiking opportunities, Arkansas wine country (the largest and oldest in the south), numerous art galleries and music festivals, old Missouri mills, music city Branson Missouri, Eureka Springs Arkansas, Lake of the Ozarks BikeFest and of course the world famous Bikes, Blues and BBQ festival in Fayetteville Arkansas. Discover some of the best motorcycle roads that America has to offer, here in the Ozark Mountains of Arkansas and Missouri. 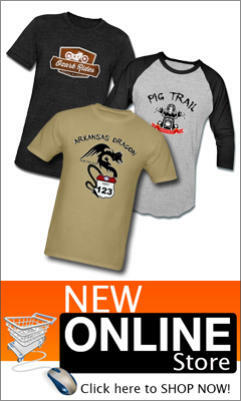 Rates the Arkansas Pig Trail Scenic Byway as #2 in their Readers Choice best motorcycle roads in America. Motorcycle riders have called attention to the Pig Trail as a fitting excursion for those who want to combine the picturesque and the sublime. This 19-mile stretch of Arkansas Hwy 23 passes through a curvy tunnel of foliage in the Boston and Ozark Mountains, and the charming Victorian town of Eureka Springs is close-by, with lots of restaurants, shops and lodging. Riding Safety. Handling the curves. You are riding down a road and as you enter a turn you feel as if you are going too fast and are heading for the tree on the side of the road. What should you do? Get on the brakes? Roll off the throttle? Bail? Believe it or not this is where a good number of inexperienced riders will get into trouble. As a novice rider approaches a turn most will instinctively look directly at a stationary object such as a tree, guard rail etc, (target fixation). Ozark Mountain Motorcycle Travel Destinations. 17 Tips for Riding in the Rain. Scared of riding in the wet stuff? There’s no need; with a little know-how and a little preparation, riding in the rain can be just as safe and just as fun as riding on a nice, sunny day. Relax. Pay attention. After all, it’s only water, the heavens have opened and it’s pouring. You can’t see very far down the road thanks to the spray coming off other vehicles. Your visor is misting up and you’re not entirely sure how you and your bike are going to handle the rain. 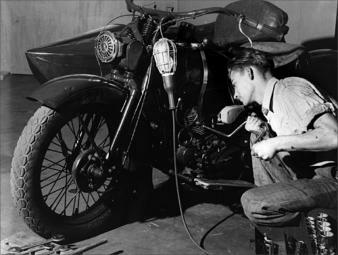 The riding season is finally here and before you take your motorcycle on a road trip, spend an afternoon performing a thorough inspection of your bike. It’ll help keep it in optimal condition and prevent major repairs later on. Welcome to Ozark Rides When it comes to great motorcycle touring destinations, few can rival the beautiful scenery and endless amount of twisty roads than the Ozark Mountains of Arkansas & Missouri. The Ozarks has some of America’s best motorcycle roads Ozark Rides is the online authority for Arkansas Motorcycle Rides including the Motorcycle destinations of Mountain View, The Pig Trail, The Buffalo National River and Eureka Springs, Arkansas as well as the Missouri Ozarks to include Branson and Lake of the Ozarks motorcycle rides. Riders will also find plenty to do when its time to pull the bike over and take a break: great camping/hiking opportunities, Arkansas wine country (the largest and oldest in the south), numerous art galleries and music festivals, old Missouri mills, music city Branson Missouri, Eureka Springs Arkansas, Lake of the Ozarks BikeFest and of course the famous Bikes, Blues and BBQ festival in Fayetteville Arkansas. So get out and discover some of the best motorcycle roads that America has to offer, here in the Ozark Mountains of Arkansas and Missouri. Riding Safety. Handling the curves. You are riding down a road and as you enter a turn you feel as if you are going too fast and are heading for the tree on the side of the road. What should you do? Get on the brakes? Roll off the throttle? Bail? If nearly perfectly paved, often twisty roads, wooded scenery, lots of lakes, and not too much competing traffic sounds like a good formula for a motorcycle tour, such conditions are available in the Ozark Mountain areas of Missouri and Arkansas. 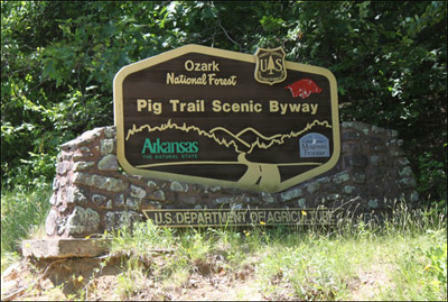 Rates the Arkansas Pig Trail Scenic Byway as # 2 in their Readers Choice best motorcycle roads in America. Motorcycle riders have called attention to the Pig Trail as a fitting excursion for those who want to combine the picturesque and the sublime. This 19-mile stretch of Arkansas Hwy 23 passes through a curvy tunnel of foliage in the Boston and Ozark Mountains, and the charming Victorian town of Eureka Springs is close-by, with lots of restaurants, shops and lodging. Scared of riding in the wet stuff? There’s no need; with a little know-how and a little preparation, riding in the rain can be just as safe and just as fun as riding on a nice, sunny day. If you’re looking for an out of the ordinary ride, you might try the Missouri Mills Run. The state of Missouri is home to many wonderfull mills from the late 1800’s and early 1900’s, and back then going to the mill was much like going to a county fair is today. In pioneer Missouri, villages and towns were often built around a gristmill, where grains were ground into flour and meal, and a sawmill, where timber could be worked into useable lumber. 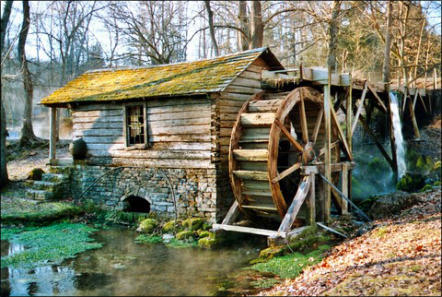 These water-driven mills were plentiful in Missouri, especially in the southern regions where spring-fed streams provided an almost inexhaustible supply of water power. Because of high demand, the mills often ran 24 hours (except on Sundays), operating on a first-come first-served basis, whether the farmer brought a wagon full of grain or one two-bushel sack. When a man arrived with raw grist, the miller marked his load by a stamp placed on his sacks or wagon, thus designating the man’s place in line. It was not uncommon for a man to wait several days for his grist to be processed. This time was spent fishing, trading or bartering for goods and livestock, discussing the news of the day, pitching horseshoes, playing sports and cards, and hashing over religious and political opinions. Get caught up on past featured stories If you’ve missed one of our featured stories, then check out our story achives here.